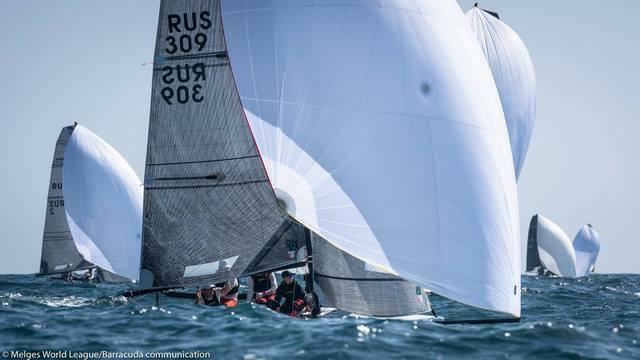 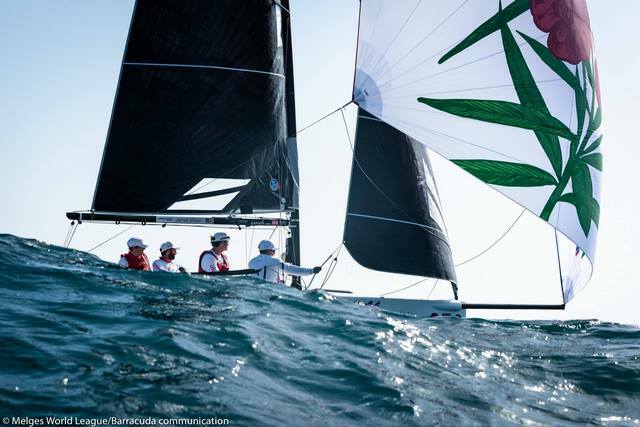 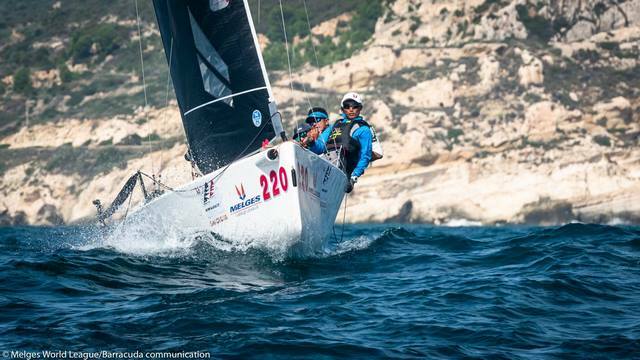 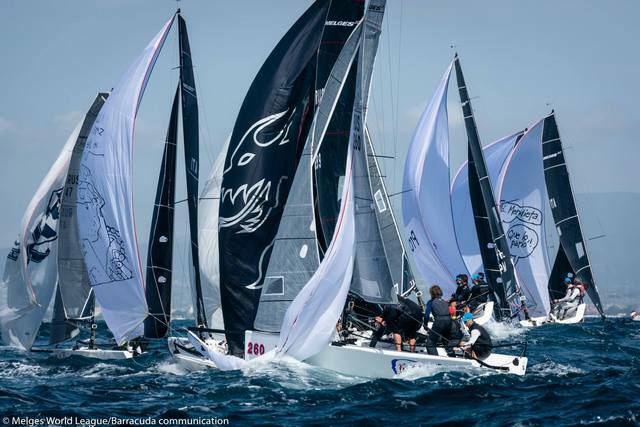 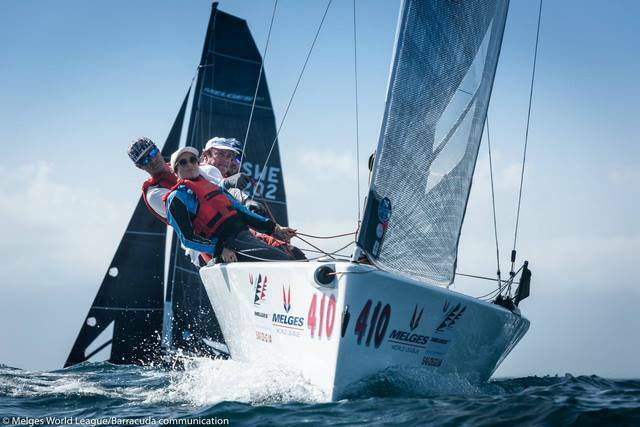 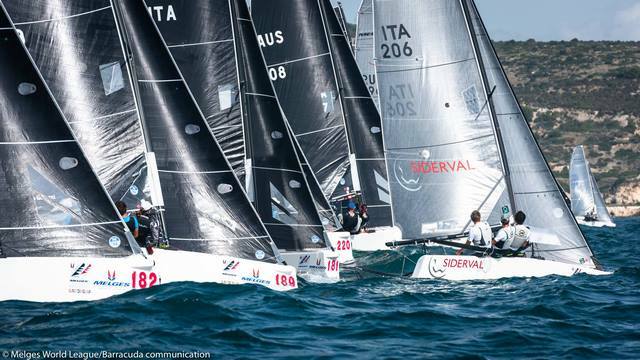 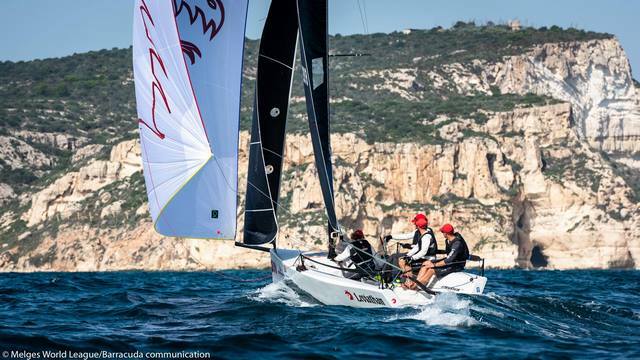 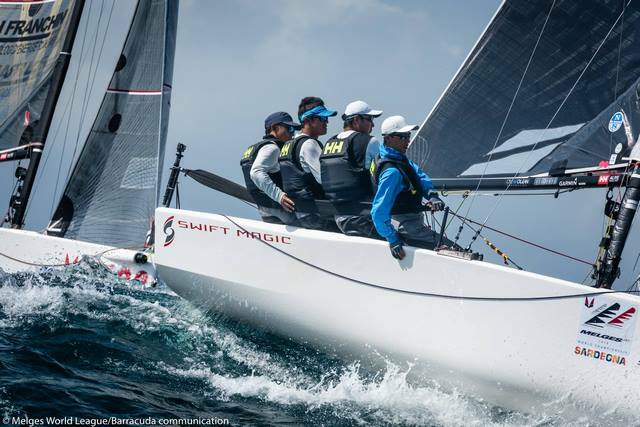 Cagliari, Italy (October 11, 2018) - After yesterday's opening race day postponement, the weather cooperated in Cagliari, Italy on Day Two, officially getting 2018 Melges 20 World Championship racing underway. 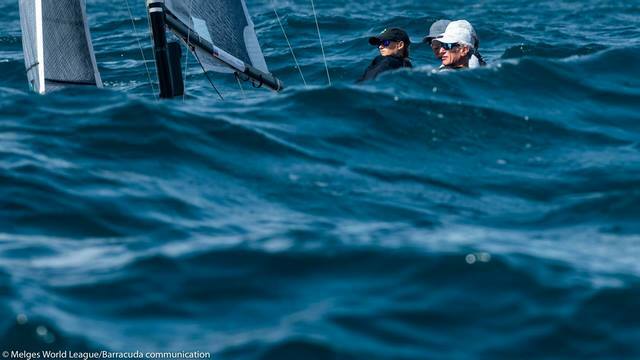 It was obvious that all the teams were feeling the pressure to do well. 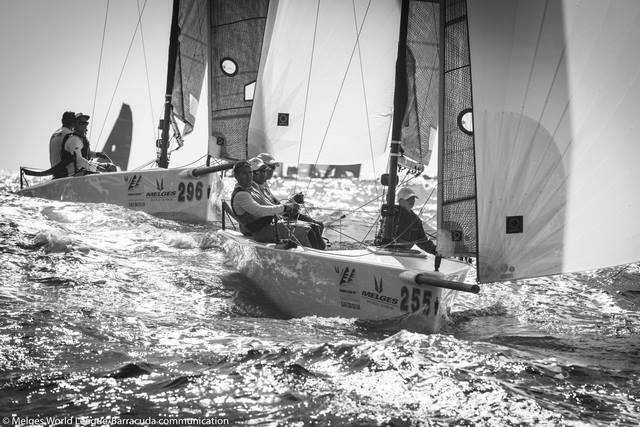 The high and choppy waves were challenging, whereas the only thing the fleet seemed at ease with was the moderate 12 knots of breeze.